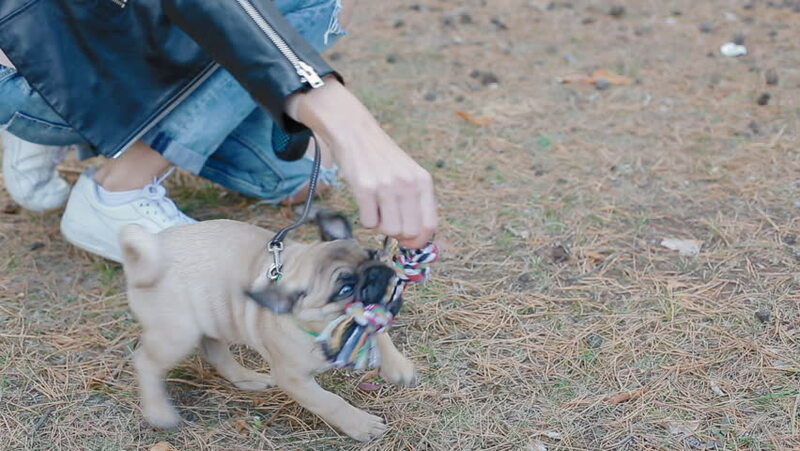 White woman playing with puppy pug outdoors. Small dog gnawing the rope toy. hd00:05White woman playing with puppy pug outdoors. Small dog gnawing the rope toy. hd00:12Young beautiful couple playing with her dog at the river. 4k00:37Denver, Colorado, USA-January 9, 2018-POV-Petting zoo at the Western Stock Show. hd00:27CIRCA 2010s - Marines on patrol in Afghanistan come under fire in Helmand Province.